Leeds and London agency Vista has delivered Walmart’s International Associates Conference in Arkansas, USA. 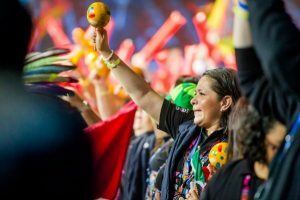 Vista, which was appointed for the 1,500-delegate conference last October, was briefed with creating an experience that would engage Walmart employees through a "strong agenda, powerful presentations and interactive entertainment". The event's content covered nine country culture presentations including Canada, Central America, Japan and India, and also included 16 award presentations, an International Lip Sync Challenge and some unique illusions from American magician sensation Justin Flom. Vista, which rebranded in early 2015, also works with BMW, Lloyds Banking Group, BT, NatWest, ASDA, M&S and EDF Energy.